As I stated in my American League Cy Young post, each season there are usually several pitchers from each league who have incredible seasons, making it difficult to choose between them for who most deserves the Cy Young award. This year was no different. Max Scherzer, Jose Fernandez, Tanner Roark, Johnny Cueto, Madison Bumgarner, Noah Syndergaard, Jon Lester and Kyle Hendricks all had years worthy of recognition, but in the end only one can with the National League Cy Young award. Admittedly, there are a few others with unbelievable stats from 2016 in the National League not included on my list, but I decided to begin the discussion with Tanner Roark, who is one of the eight pitchers in the NL with an ERA below 3.00. Roark’s 2.83 ERA over the course of this season is quite remarkable, but with so much competition, it quickly leaves him on the outside looking in. Another pitcher in Roark’s position is Johnny Cueto, who had an unbelievable year but still didn’t do enough to earn the Cy Young. Even so, Cueto’s 18-5 record with a 2.79 ERA helped get the Giants into the postseason once again, despite some offensive struggles, and he will be a big part in their success moving forward. Jose Fernandez is the next pitcher I’m taking off the list, which is truly unfortunate. With the stunning news of his untimely death coming back in September, it would be fantastic to see him win the award. However, while I’m all for honoring his memory, there are other candidates who deserve the award more when you take a close look at the stats. Despite getting the Mets into the postseason for the second straight season, Noah Syndergaard won’t wind up with the Cy Young award when all is said and done. But his 2.60 ERA and 218 strikeouts certainly stand out on a pitching staff that saw a plethora of injuries, and Syndergaard will likely continue to be the ace of Queens. Three-thousand miles away, out in San Francisco, Madison Bumgarner had yet another great season of what has become a great career to this point. Bumgarner managed to strike out 251 batters over the span of 34 starts this season, and combined with Johnny Cueto to make on of the best one-two punches in all of baseball, but won’t take home the award when the voting is revealed. Speaking of one-two punches, John Lester made up one half of perhaps the best duo in all of baseball for the Cubs. His 2.44 ERA was second best in all of baseball, and his .211 opponent batting average definitely jumps out, but so does Lester’s less than one strikeout-per-inning, making him fall short of the Cy Young award. It came down to a couple of aces this season. But while Kyle Hendricks and his MLB-best 2.13 ERA initially makes him the heavy favorite, I couldn’t select him to pick up the award. His strikeout numbers are subpar at best, and while that isn’t always a deciding factor in the voting process, it is in this case. For that reason, I went with Max Scherzer to win the National League Cy Young. He has the worst ERA of all the players on my list, at a dismal 2.96, but it’s his strikeout numbers that give him the edge in my mind. The Cy Young award is about utter dominance, and Scherzer’s 284 K’s (including a 20-strikeout performance this season) makes him the number one choice. Striking out 114 more batters than my runner up Kyle Hendricks, I made the tough but correct decision for the award this season. After losing games one and two of the World Series started by Matt Harvey and Jacob deGrom, respectively, the Mets had reason for concern heading into game three of the World Series on Friday night. But as I stated at the end of my previous post, they had Noah Syndergaard on the mound for the game, and with him having been great all season long, they still had reason to hold out hope of a series comeback. They simply had to score enough runs to beat out the Royals and Yordano Ventura, who was sure to be equally terrific. But it appeared to be more of the same for the Mets when the game started. An Eric Hosmer RBI-groundout in the very first inning struck a blow to the Mets before they even had a chance to swing the bats. But the Mets wasted no time in answering back. In the bottom half of the same inning, David Wright blasted a two-run homer to give the Mets a 2-1 lead early on, and provided some needed positivity to the club. However, the Mets didn’t hold the lead for long. In the top of the second, an RBI-single by Alex Rios and a passed ball by Syndergaard with a man on third gave the Royals a one run lead once again. Even so, Syndergaard helped his own cause by getting a leadoff single in the third inning — the youngest pitcher with a World Series hit since Dwight Gooden in 1986 — which he was well rewarded for. The very next batter, Curtis Granderson, hit a line-drive homer that cleared the right field wall by just a few feet, making the score 4-3, Mets. 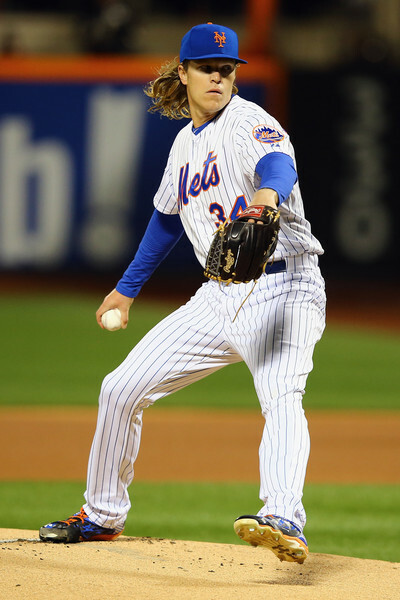 From the second inning on, Syndergaard lived up to his nickname of “Thor”. He was magnificent, retiring ten straight at one point. The Mets also helped him out, scoring another run in the bottom of the fourth, coming via a Michael Conforto ground ball to first base that lead to confusion between the second baseman, Ben Zobrtist, and Eric Hosmer. Ultimately, Conforto chugged his way safely to first, and the run scored without a play. A little history was made in the bottom of the fifth inning, when Raul Mondesi Jr. made his major league debut against Syndergaard. 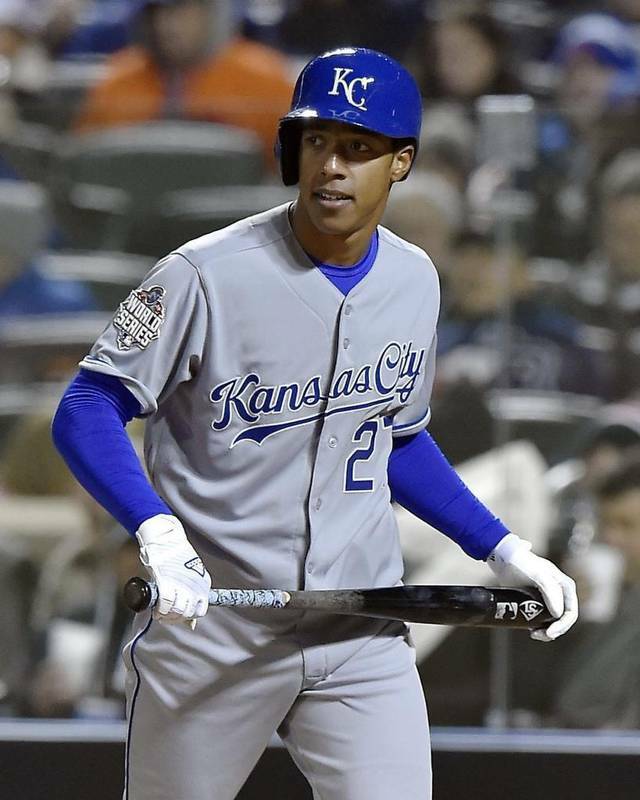 Although he struck out, Mondesi became the first player in the entire history of Major League Baseball to make his big league debut during the Fall Classic. That’s certainly impressive. Also impressive was the Mets’ resurgence of a run-scoring machine. While the Royals didn’t score again after the second, the Mets posted another four runs in the sixth inning, coming from contributions from Juan Uribe, David Wright (who had four RBI’s on the game) and Yoenis Cespedes. The Mets held a 9-3 lead when the inning concluded, and that’s where things would wind up as the final score. With game four now being a game in which the Mets were simply looking to tie things up and not worrying about being eliminated, you had to figure they could be a bit more relaxed and therefore able to perform much as they did in game three. It was sure to be a fun game. Steven Matz — the second rookie on the mound for the Mets in back-to-back games — was on the mound in game four, opposed by the Royals’ Chris Young. Matz and Young are two completely different kind of pitchers, so it was fun to watch how each went about trying to get the other team out. Early on for the Mets’ side of things, it was a rookie show. Steven Matz lead off with a couple of scoreless innings, and Michael Conforto kicked off the third inning with a homer (the youngest players since Miguel Cabrera in 2003 to hit a World Series homer) off of Chris Young, who had been equally good to that point in the game. Wilmer Flores followed up with a fall-in single, and later advanced to second on a wild pitch and third on a terrific sacrifice bunt by Matz. Then, the unbelievable happened. Curtis Granderson lifted a fly ball into right field which was easily caught by Alex Rios. But Rios forgot how many outs there were, and took a step or two towards the infield before realizing it was only the second out of the inning. Although it was going to be a close play anyhow, it took away any shot at nailing Flores at the plate. That simply can’t happen — not in the World Series. But it did, giving the Mets a 2-0 lead. The Royals would answer back in the fifth, scoring a single run via an Alex Gordon RBI-single. 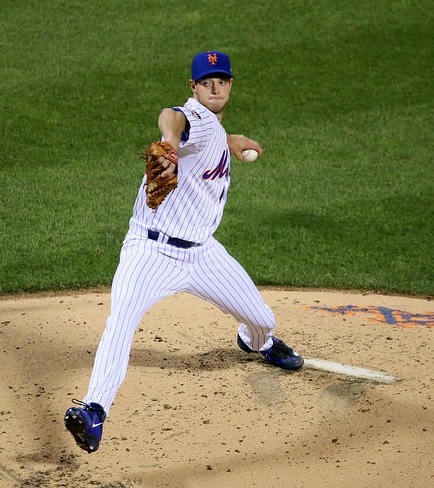 But despite that run, Matz was still able to pitch well to get out of the inning. His opposer, Chris Young, was removed after the fourth inning, and replaced by Danny Duffy. But Duffy promptly allowed yet another home run to Conforto, who became the only Mets player other than Gary Carter to hit two homers in a Fall Classic game. Things were looking good for the Mets. Ben Zobrist lead off the sixth inning with his eighth double of the postseason, getting things started against Matz, who many people were shocked was still in the game. As a result, the next batter, Lorenzo Cain, knocked a ball up the middle that scored Zobrist and made it a 3-2 game with no outs. Matz was promptly removed, replaced by Jonathan Niese, and the potential further damage was contained. That is, until the eighth inning, when the Royals took the lead an never looked back. Daniel Murphy committed an untimely error on an Eric Hosmer ground ball, which allowed Ben Zobrist to score. Singles by Mike Moustakas and Salvador Perez plated two more and put Kansas City up by two runs, 5-3, which is where the game concluded after a failed attempt at a comeback for the Mets. This isn’t the way many baseball fans envisioned things going at all. The Royals are a good team, but to win games going up against Matt Harvey, Jacob deGrom and Steven Matz is absolutely amazing. Sitting one win away from a World Series title, you knew they were sure to be on their game in Sunday’s game five potential elimination game. But going up against Harvey yet again, you had to figure it was going to be a challenge. While the story of the game on Sunday was predicted to be Matt Harvey either keeping the Mets alive or not, it began with Curtis Granderson. As the first batter of the game, Granderson hit a homer off of Edinson Volquez to give the Mets a 1-0 lead and an extremely early spark. Harvey struck out the side in the fourth — the second Mets pitcher (Tom Seaver being the other) to strike out the side in order in a World Series game — and was looking completely locked in, and much more like the All-Star version of Harvey that baseball fans had come to know, going on to strike out eight through the first five. Even so, despite the flaw in the first, Volquez was just as good to lead things off. With both pitchers totally dialed it, you had to figure that this was going to be one of the best games thus far. The score remained the same through the sixth inning, when Curtis Granderson, David Wright and Daniel Murphy all lead off the inning with a walk, hit and error, respectively. The next batter, Yoenis Cespedes, looked to cash in with the bases loaded and nobody out, but he fouled an 0-1 pitch off of his left kneecap, and appeared to be headed for the clubhouse. But he stayed in the ballgame, only to pop out before limping off the field. Following Cespedes was Lucas Duda, who came through with a sac fly that plated Granderson to increase the lead to 2-0. That’s where things would stay through the top of the ninth inning, when the Mets were faced with a huge decision: leave Harvey in after 102 pitches, or bring in the closer, Jeurys Familia, who had blown two saves through this point in the World Series, in game one and game four. After all, if Familia had closed out those games, the Mets would have been sitting three outs away from a World Championship. You simply had to leave Harvey in to finish what he started. And the Mets did just that. After declaring that there was “no way I’m leaving this game” to manager Terry Collins, Harvey took the hill looking to shut things down in the final inning. However, he appeared a bit too amped up to start with, walking the leadoff man, Lorenzo Cain, and overthrowing some of his pitches. Cain proceeded to steal second, and was knocked in by an RBI-double from Eric Hosmer. Harvey was promptly removed, but no matter what, it was the right call under the situation. Nonetheless, the Royals, who hold the playoff record for six postseason multi-run comebacks, were now just a well placed hit away from tying the game. 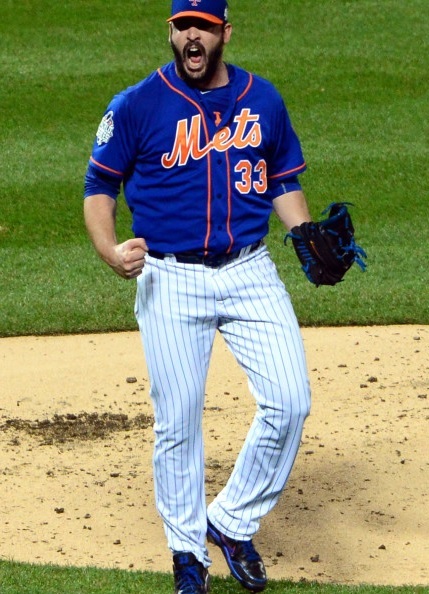 Familia was brought in to be the potential hero of game five, which would ultimately make up for his previous subpar pitching. But he wouldn’t complete the game. An errant throw by Lucas Duda to home plate after a groundout by Salvador Perez allowed Hosmer to tie the game at 2-2, and made for Familia’s third blown save of the Fall Classic — the most in baseball history. 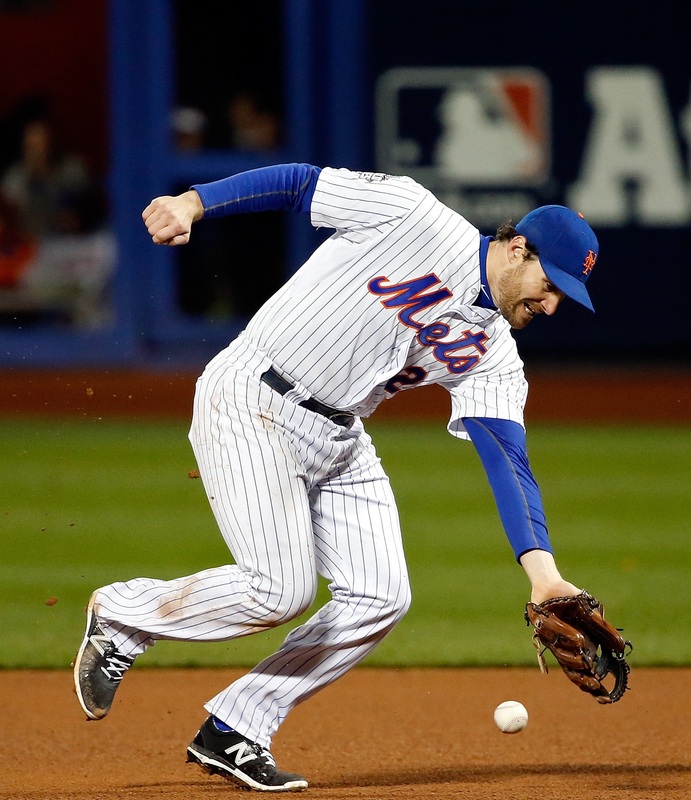 The score remained tied through the twelfth, when everything completely fell apart for the Mets. What began as a simple RBI-pinch-hit-single from Christian Colon, putting the Royals up a mere run, turned into a blowout. Christian Colon would eventually score, along with three more runs via a Lorenzo Cain double that scored three runs with the bases loaded. With the Mets down 7-2 heading into the bottom of the twelfth, you had to figure they stood little chance of a comeback, especially facing the hard throwing Wade Davis. Ultimately, Davis would strike out three, putting an exclamation point on the Royals’ season, and making them 2015 World Series Champions. My hat certainly goes off to the Royals. I, admittedly, was pulling for the Mets to win, simply because I’m a big Matt Harvey fan and because I wanted to see the season be continued a couple more games out in Kansas City. But you got the feeling back when the Royals rallied to win and advance against the Astros in the ALDS that this was a team that wouldn’t stop until they were declared World Champions as quickly as possible. 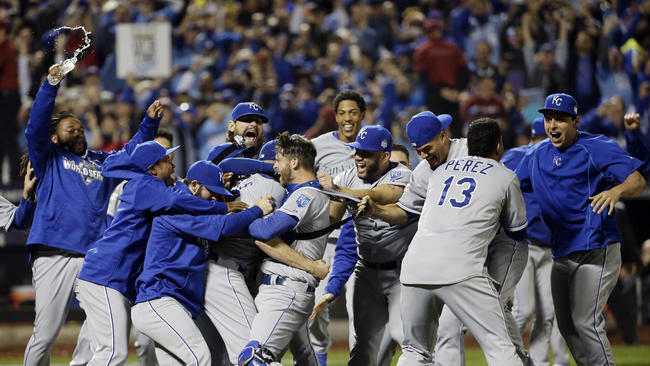 This is the Royals’ first World Series crown since back in 1985. After making it to game seven of the Fall Classic in 2014, only to lose to the Giants, this is obvious redemption for that year. Salvador Perez, for his many contributions on multiple levels, was named MVP of the series, which was completely deserved. He was a big part of what made this Royals team so magical. Heading forward, offseason transactions will ultimately happen. This Royals club that won the World Series will inevitably not be the exact team that takes the field on Opening Day in 2016. But there’s one thing you can guarantee: the Royals will still have a very competitive team with all sights on returning to the World Series next season and beyond. I love making predictions. I’m absolutely no good at it (I picked the Blue Jays and Dodgers to be in the World Series), but I enjoy the process that goes into it, nonetheless. With that said, it is really difficult to predict a winner between the Mets and Royals for who I feel will win the 2015 World Series. They both have strengths and weaknesses, but in the end it’ll come down to which players can come through most in big spots, and that has proven time and time again to be unpredictable. No matter what, with the Mets having not won a World Series since Bill Buckner’s infamous error in 1986, and the Royals experiencing a drought since 1985, history is guaranteed to be made for one of them sometime in the next couple of weeks. The Mets have announced that their starting rotation is going to be Matt Harvey pitching game one, followed by Jacob deGrom (game two), Noah Syndergaard (game three) and Steven Matz (game four). Obviously, if the series goes beyond a fourth game (something that’s pretty sure to happen) then the rotation would simply begin again, with Harvey, deGrom, etc. On the other side of the coin, the Royals haven’t yet announced their official starting rotation. There’s a lot of speculation as to whether Yordano Ventura or Edinson Volquez will get the ball in game one, with the other getting it for game two. It is also unknown whether game three would go to Chris Young or Johnny Cueto. With so much uncertainty, it’s difficult to try to predict games by looking at pitcher-pitcher matchups. Even so, I feel like no matter who is going up against Matt Harvey, game one is likely to go to the Mets. Harvey has been great so far this postseason, and will likely even take things up a notch with it being the World Series. Going into game two, as with Harvey, anyone who matches up against deGrom is likely going to have a tough time. Although the Royals admittedly stand a better chance against deGrom than Harvey, I think the series will head back to New York for game three with the Mets up two games to zero. Game three is where I see things turning a bit. Syndergaard has been great and is an unbelievable pitcher, but I think the Royals will get to him and win by a run or two. I see the same happening on the next night against Steven Matz. Another rookie, Matz has had a good year, but I feel the Royals will be able to tie things up at two games apiece. I think the Mets will take the final game before heading back to Kansas City, as Harvey will be on the mound again. If they in fact have lost their first two games at home, I don’t see them allowing themselves to get swept the full three games. Back at Kauffman Stadium, I predict the Mets will waste no time in taking the championship. Having Jacob deGrom on the mound is always a good thing, and he will inevitably pitch a good enough game to win the New York Mets the 2015 World Series. But that’s all purely speculation, and just the way I see things unfolding. Whether or not the Mets win the Fall Classic is yet to be seen. But one thing is for sure: neither team will go down without a fight. Nearly every day, at least one pitcher — if not multiple pitchers — has a fantastic outing. But that wasn’t what made Noah Syndergaard’s afternoon on Wednesday a very special one. As the number ten overall prospect in all of baseball, Mets fans have been looking forward to his arrival for quite some time, but I’m not sure they ever expected a performance out of Syndergaard that they received in just his fourth big league start. Syndergaard pitched 7.1 strong innings, allowing zero runs over that stretch, but it was what he did at the plate that amazed people. Syndergaard went 3-3 on the day, including a 427-foot blast to left center field. With his 7+ dominant innings and three hits that included a homer, Syndergaard becomes the first pitcher to accomplish those feats in the same game since 2001, as well as the first Mets pitcher in three years to hit a homer. Not bad for a 22-year-old with around a month of major league experience. But good hitting and good pitching is nothing new for Noah Syndergaard. Over the course of his minor league career, Syndergaard holds a 3.16 ERA as well as a .270 batting average. Through four big league starts, he has posted a 2.55 ERA and is 4-9 in his at-bats. Truly remarkable for such a young pitcher. With a rotation that includes the likes of Matt Harvey and Jacob deGrom, with Steven Matz soon to be in the mix, the Mets look to be good in the young pitching department for quite some time. But while all of their starters can put up a good outing, I’m not sure any of them can swing the bat quite the way Noah Syndergaard does. 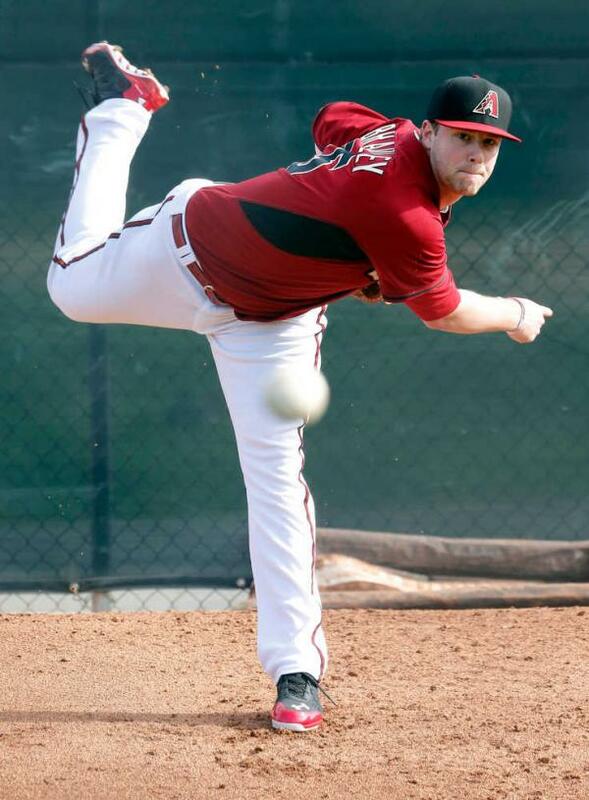 Archie Bradley is the first player on my list, as he nearly made the Diamondback’s rotation out of Spring Training. Going 14-5, with a 1.84 ERA last season, Bradley is one of those players who is sure to make an immediate impact upon his first callup to the majors. Though it could be awhile longer before Bradley gets his first big league start, he’s ready now, nonetheless, to show off his stuff on the highest level. Another player who nearly made the majors out of Spring Training, and likely should have, is George Springer. Blasting the second-most home runs of any player in the minors last season, with a total of 37, Springer is sure to be one of the key pieces for the Astros moving forward, whenever his callup takes place. With the Astros’ outfield struggling, besides Dexter Fowler, bringing up Springer would be a smart thing to do. Gregory Polanco could end up being as big of a difference maker for the Pirates as Andrew McCutchen. Though he’s yet to prove his ability on the major league level, there are a lot of people who feel Polanco is experienced enough to make the jump. Currently in Triple-A, it will likely be a bit of time before Polanco is called up, however, his combination of speed, power, and ability to hit for average should help him stick. Joc Pederson is more than ready to make his major league debut, but there’s a big problem he faces: he’s an outfielder in the Dodgers’ organization. With a current outfield of Matt Kemp, Yasiel Puig, Andre Ethier and Carl Crawford, Pederson simply has nowhere to go. While it could be a good bit of time before the Dodgers’ figure out a solution to the situation they have with Pederson, he should be up before too long. Currently battling an injury, Addison Russell can’t technically be called up to the major leagues until he fully recovers, which likely means more minor league time, however, he is nearly ready. Russell is coined to be the next great all around shortstop, and many people feel he has the potential to win multiple Gold Glove awards. With the Athletics’ contract to their current shortstop, Jed Lowrie, almost up, Russell will be up fairly soon. Some honorable mentions, of player who are getting close to being major league ready but aren’t quite, include Oscar Taveras, Javier Baez, Noah Syndergaard, Alex Meyer, Eddie Butler, Jonathan Singleton, Garin Cecchini and Stephen Piscotty. 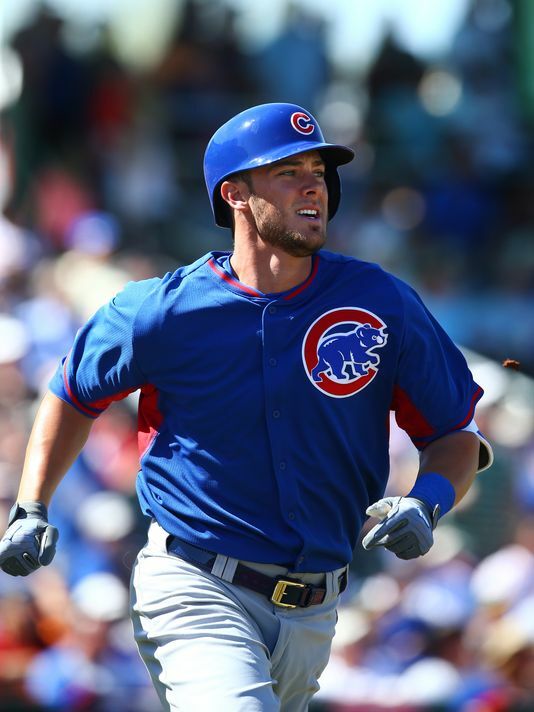 All are showing tons of major league potential, and the majority of those players should see time in the major leagues at some point in the second half of this season. The remaining few will get their first glimpse of the majors in the early part of 2015.